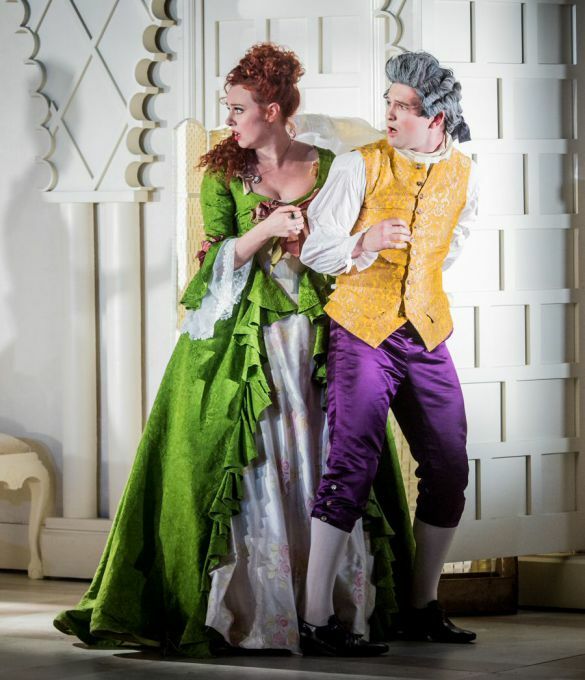 On stage with James Newby for Nevill Holt Opera, 2018. The Count & Countess have just discovered Susanna in the wardrobe ... what?? 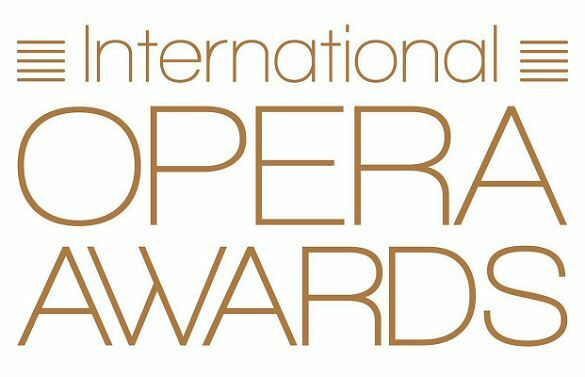 What an amazing night at the 2018 International Opera Awards this year! So many friends and colleagues nominated and all of us together celebrating this wonderful art form. As a bursary winner from 2013 it was a pleasure to take the stage in the opening and closing numbers and sing in the beautiful London Coliseum, home of the English National Opera. It was also a surprise and a pleasure to jump into the solo in the last piece, "Make Our Garden Grown" from Candide, alongside the wonderful Toby Spence, after finding out in the interval that the guest soprano had taken ill. Congratulations to all the winners and a huge thank you to Mazars and all the sponsors and supporters of this important awards event. Let's continue to bring increadible music and quality performances to the world! Sky Ingram, as Avis, appeared perfectly cast and able to inhabit her role with equal dramatic and vocal persuasion. 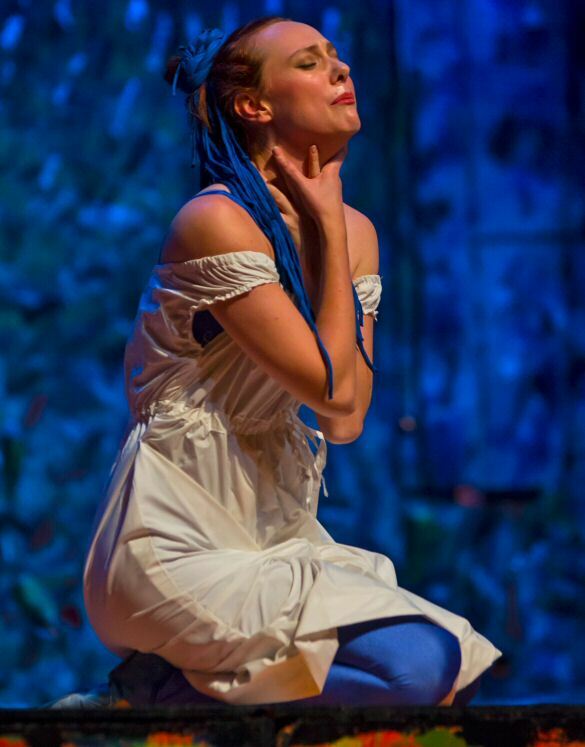 Singing the title role in Rusalka this year was a dream come true - both in it's vocal and dramatic challenges. I had the privillege of working with a fabulous cast from all over the world in the lovely city of Valladolid in Spain. 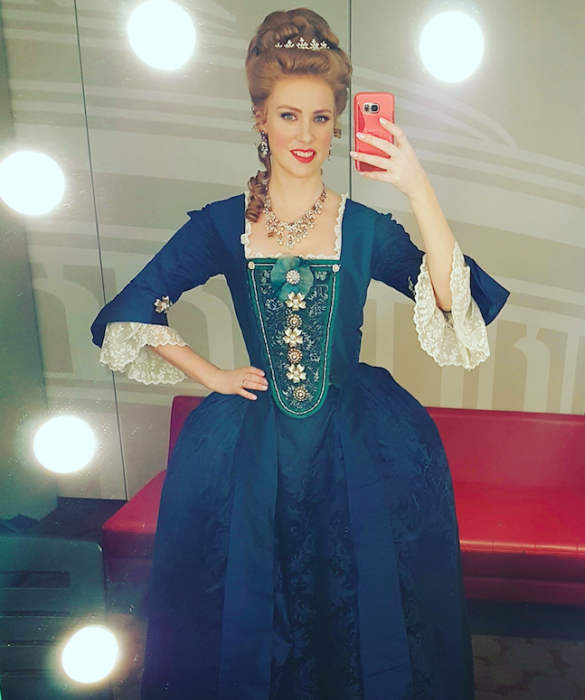 Rusalka is my first role in Czech so far - such a wonderful language for singing! It was a long road of study but it certainly paid off. A big thank you to Opera Director, Francisco Lara, for taking a chance on me for my debut in the role and for my debut in Spain. 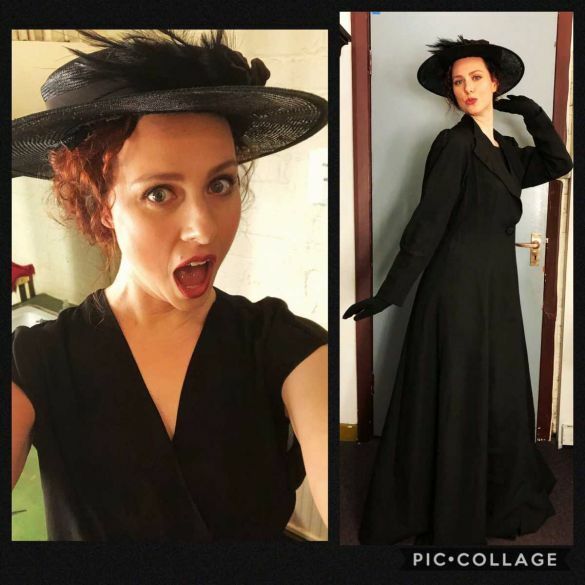 I had so much fun singing this role with the orchestra - I can't wait to get the chance to sing it again! Staying in Valladolid was also quite a treat. Such a beautiful city. And the food ... yum! Singing in the candle-lit Sam Wanamaker Playhouse at Shakespeare's Globe this year as Venus in Orpheus for the Royal Opera House was such a treat! It was a stellar cast with fabulous costumes and hilarious on-stage action directed by the amazing Keith Warner. And being able to sing the clever yet stunning music with Christian Curnyn in this special acoustic was something to remember, always! It all went too fast and I miss them all but at least I have a lot of wonderful memories from this beautiful and unique production! 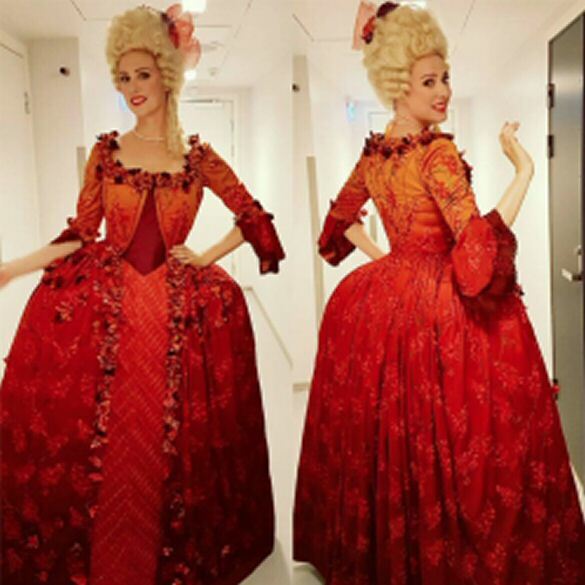 I was particularly impressed with my costumes by Nicky Shaw! Lets hope it's brought back to the Globe again...!! 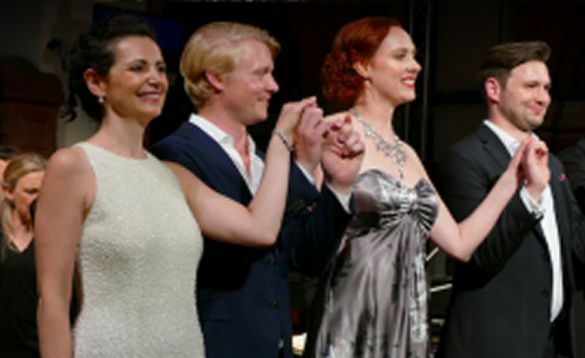 See photos, reviews and cast lists on the Royal Opera House Website. 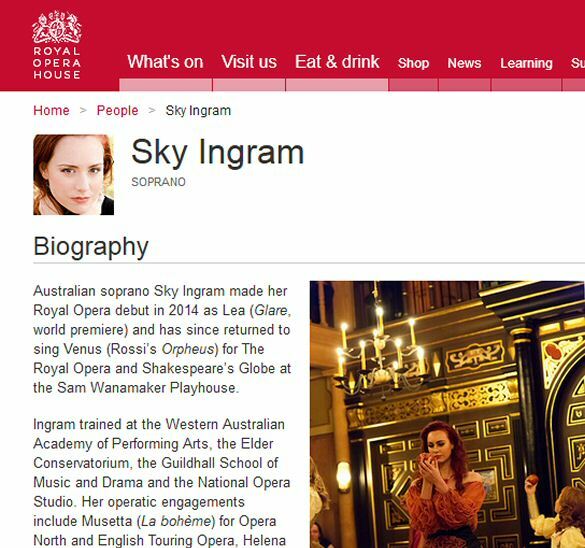 Feel free to peruse my profile on the Royal Opera House Website! 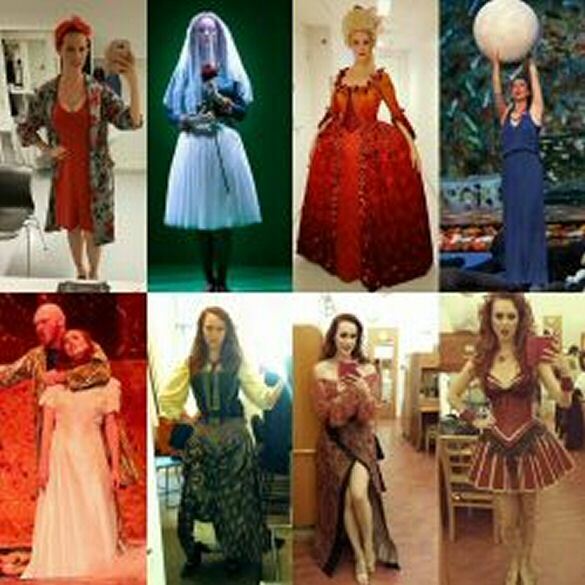 Lots of photos and videos from playing Venus in Orpheus this year and as Lea in the World Premiere of Glare in 2014. In the comic scenes, Sky Ingram as Venus was the clear winner. With a mane of red hair and long legs, she was the visual image of a screen goddess and vamped it up something rotten. Take a sneak peak at the YouTube trailer of the English Touring Opera's La Bohème that is currently touring the UK. We've all had a great time touring together so far! There are a total of 5 operas on the tour. We all love 5 star quote from the Independent... "With touring opera of this calibre, who needs London?". I am very excited to announce my first contract with the Royal Opera House (Covent Garden) later this year as Lea in the world premiere of "Glare" by German/Danish composer Søren Nils Eichberg and librettist Hannah Dübgen. Søren Nils Eichberg, winner of the prestigious Queen Elisabeth Competition and Danish National Symphony Orchestra's first composer in residence, has won widespread acclaim for his orchestral and chamber music. These include his award-winning Qilaatersorneq (2001) and the symphonies 'Stürtzen wir uns ins Feuer' (2005) and 'Before Heaven, Before Earth' (2010). All his music is characterized by a powerful rhythmic drive and rich orchestral colour. 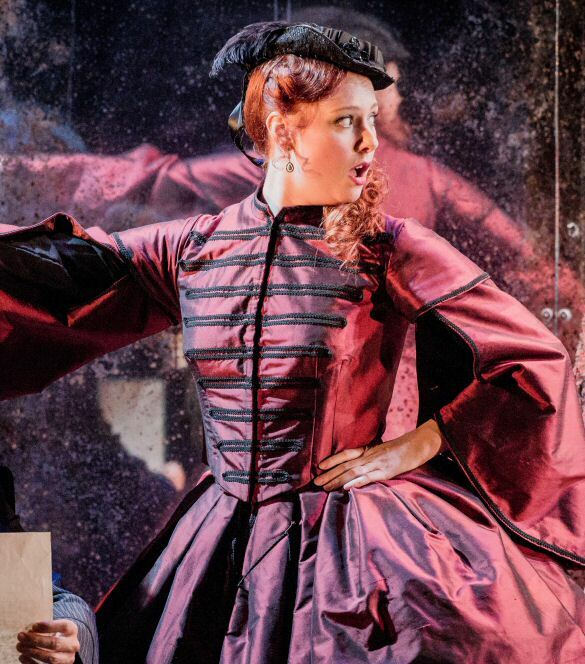 Glare is Eichberg's much-anticipated Royal Opera debut. 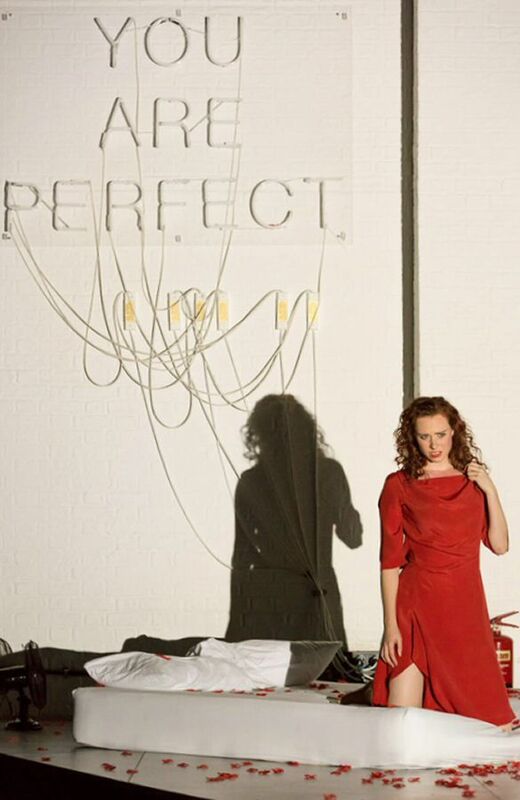 German poet Hannah Dügben provides an original libretto that explores a tense web of human relationships. Thaddeus Strassberger, director of The Royal Opera's production of I due Foscari, joins a creative team of his regular collaborators, designer Madeleine Boyd and lighting designer Matt Haskins (whose joint credits include Opera North's Don Giovanni). 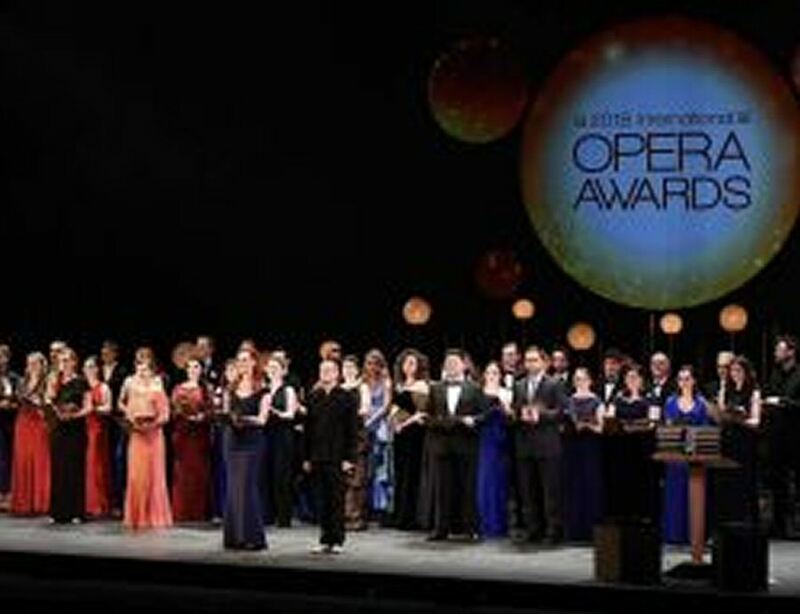 I am very pleased to announce that I am a bursary winner for the Opera Awards Foundation 2013. I feel very honoured to have been selected amongst other such talented musicians and companies. A very big thank you to the Opera Awards Foundation, their supporters, and to my referees who were so very encouraging and supportive of me and of my proposed project. 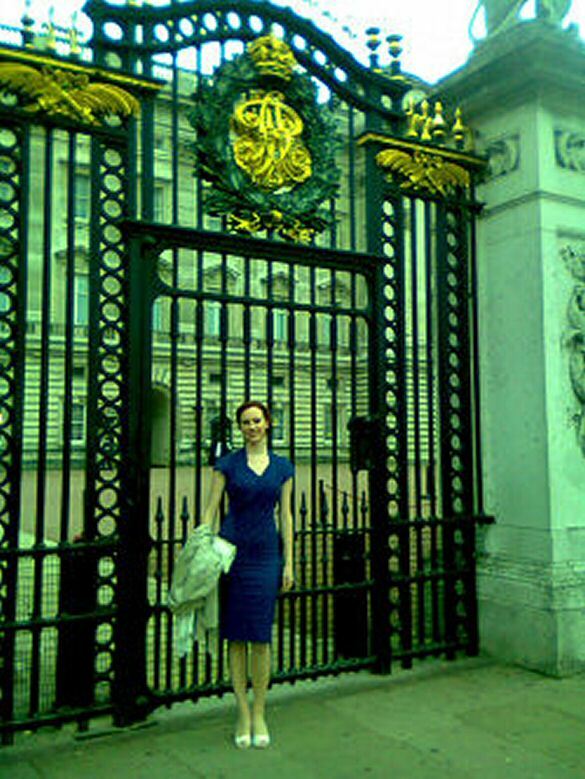 I was very fortunate to be one of the few Australians to be invited by The Queen and The Duke of Edinburgh to a reception given at Buckingham Palace on 13th October 2011. The reception was to proceed Her Majesty's Royal visit to the Commonwealth of Australia, where she met Australians living or working in the UK and for those with significant associations with the country. It was a very rare occasion that one is invited to THE palace, but also to meet so many interesting people from such a vast variety of fields. The two ballrooms in the palace were filled with various writers, government officials, actors, military personnel, directors, musicians, professors, businessmen, CEOs, etc. There was a wonderful atmosphere at the function where the warm, friendly buzz of fellow Australians filled the elegant rooms of the palace, feasting on different wines, juices, canapés and, of course, we cannot forget the mini lamingtons! Among the 350 at the reception, I felt especially honoured to meet The Queen, The Duke of Edinburgh, The Earl of Wessex, The Duchess of Gloucester, Hugh Jackman, Elle McPherson, Tom Hooper and Yvonne Kenny. It was an experience I shall never forget; walking through the front gates of Buckingham Palace and into the Royal Ballroom, representing my country. It was a very proud moment and an amazing evening!